Last week I shared our papercut Day of the Dead candle wraps, and I loved using it as an opportunity to learn more about the Mexican holiday. As I mentioned with the candle wraps, different colors are incorporated into Day of the Dead celebrations to symbolize different things. 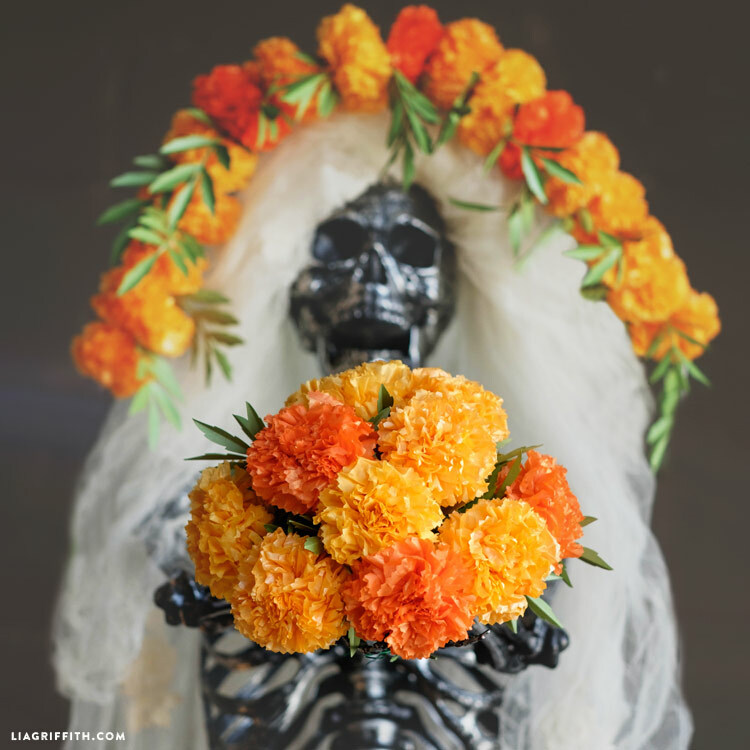 Orange and yellow hues are meant to guide spirits of loved ones to the Day of Dead altars, so altars are usually decorated with lots of vibrant marigolds. 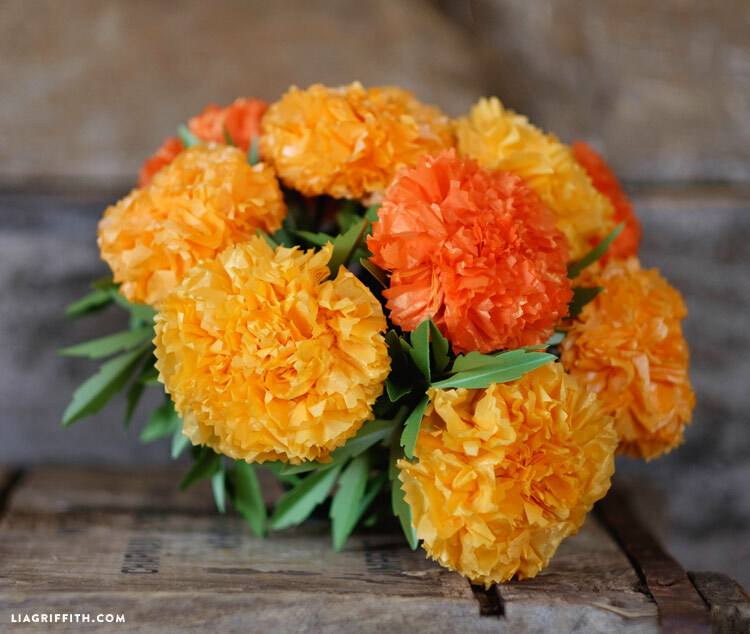 As a nod to the Mexican tradition, we decided to create some tissue paper marigolds for our seasonal decor. 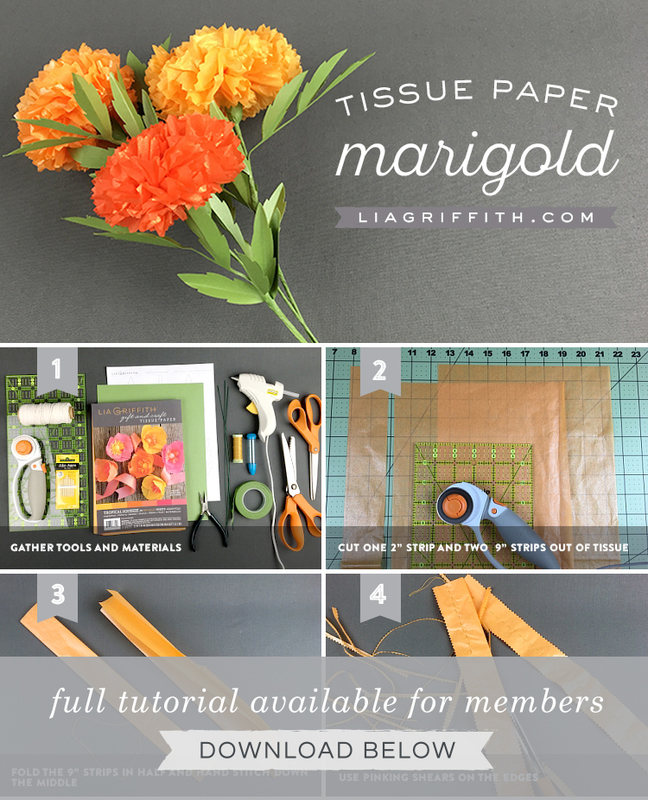 These tissue paper marigolds do not have a template because the technique for making these is all in the folding. Download the printable instructions or follow the step-by-step photo tutorial for the measurements of tissue paper you will need. 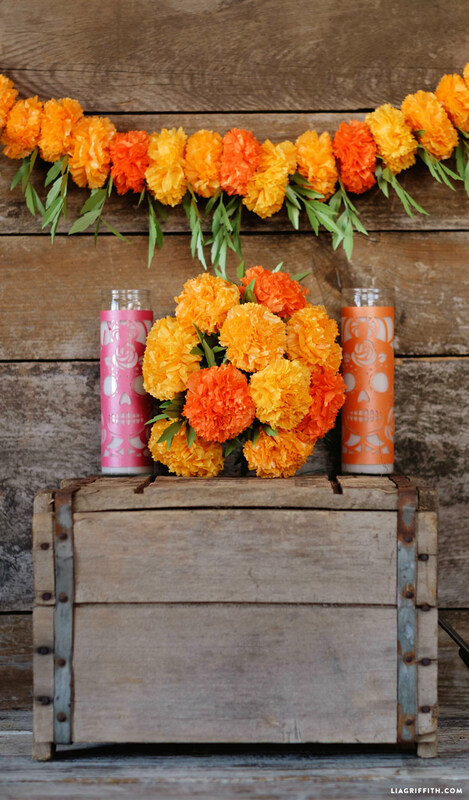 To make these marigolds we used the Tropical Squeeze tissue pack from our new line of tissue papers. Once you have your tissue paper ready, you will also need a needle and thread. As you can see in the tutorial, the trick for bunching these blooms is to create a basic running stitch down the center of the tissue piece. 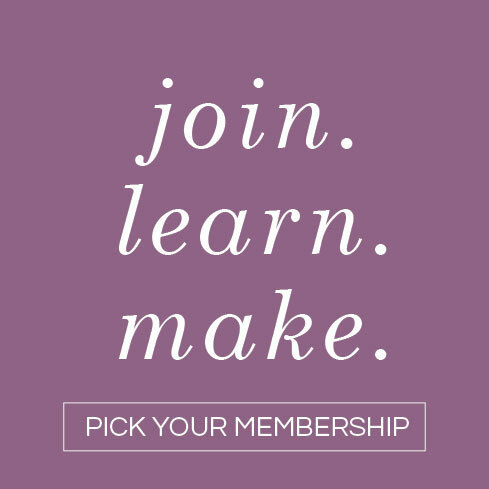 When you finish your blooms, you can use the SVG or PDF template to add some leaves. Rather than using tissue paper for the leaves, used metallic text weight paper in Fairway. 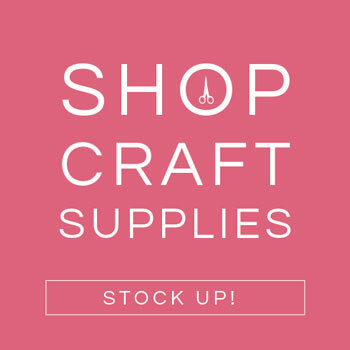 Could you do this with extra fine crepe paper? You could make marigolds from the crepe, but they wouldn’t turn out the same since the grain of the crepe wouldn’t allow the paper to fold as nicely as tissue. 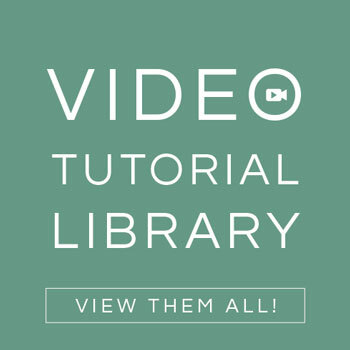 How wide is the 2″ strip and the 9″ strip? Hi Gloria! We cut the strip the length of the tissue paper (about 20″). They look so real! What a remarkable job you’ve done. Simply beautiful! How beautiful! They look just real. 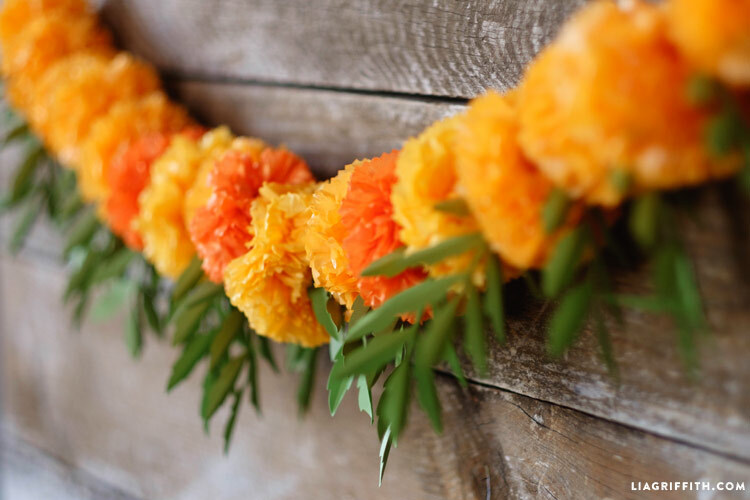 Marigolds garlands are extensively used in many Indian festivals and weddings. I will definitely make them. Thank you for sharing.